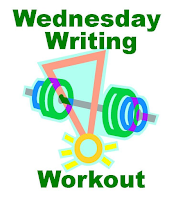 Welcome to the fourth Wednesday Writing Workout created by Sheboygan, Wisconsin author, educational consultant and veteran elementary and middle school classroom teacher Michael Leannah. 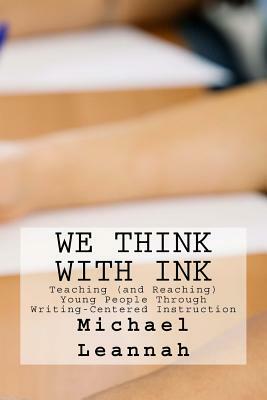 It’s the final WWW from his recently-released book WE THINK WITH INK (Brightside Publications, 2016) that’s made our TeachingAuthors month of May even merrier. As I shared in my introduction to the first WWW that offered Get Acquainted exercises, the second WWW that shared Daily Practices and the third that focused on letters, words and sentences, Michael writes fiction and nonfiction for children and adults. Tilbury House releases his picture book MOST PEOPLE in August. Two other picture books are soon to follow: GOODNIGHT WHISPERS (Familius) and FARMER HUCKINSHUCK’S WILD RIDE (Splashing Cow Books.) His stories have appeared in U.S. and Australian magazines. Check out today’s final WWW and once again, try your hand. Thank you, Michael, for so generously sharing your smarts, your passion for writing and WE THINK WITH INK writing workouts with our TeachingAuthors readers these past four weeks of May! 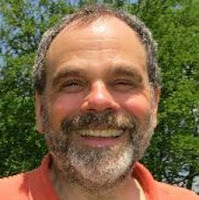 Oh, and for making yourself available at contactmichael@gmail.com, should our readers wish to share their appreciation. A family sets out on a cross-country trip to California. Their car gets stuck in a ditch in Nebraska. With help, they get out of the muck and soon are on their way again. Before you know it, they arrive in California. When they cross the border, they don’t just park the car and say, “We’re here. The trip is done.” There are a million things to see and do in California. The best part of the trip is still ahead of them. That family trip can be compared to an author writing a story. She starts with great enthusiasm, but gets stuck about halfway into it and needs help to get it going again. Eventually, she makes it to the end, but when she gets there, she isn’t done. The best part — the revision process — is yet to come. It’s natural for a reader to want to try his hand at being a writer. But, as with so many things first attempted, writing isn’t as easy as it seems. Just when you’re chugging along and doing quite well, the story goes off the road, and you find yourself bogged down and discouraged. One thing to do to get things rolling again is to tell your story from a different angle and with a different voice. If your story “The Christmas Tree Disaster” is boring and flat, get rid of the dispassionate narrator and let the exasperated mom tell the story. Or the impatient dad. Maybe the little kid watching his parents struggling with the tree would be the best choice. Or maybe the canary in the cage by the window would have fun telling it. Who gets to tell the story? And from what point of view? Write a description of an incident on a street in your neighborhood. Be sure to include both pleasant and unpleasant elements. When you have finished describing the scene, put your paper aside and describe the same scene from the point of view of a small dog tied to a tree in a yard. From his vantage point, what does he see, hear, and smell? Considering a dog’s interests, what would be the focus of his description? When you are finished with the dog’s version of the incident, put the paper aside and get started on another description of the same scene, this time as an angry man watching from a window, or an eternal optimist trying to make everyone feel good about what is happening, or a little old lady who worries about every little thing. Sometimes telling a story from a new perspective gets the stuck parts moving again. Look around and you might see someone you’ve been ignoring who’s just dying to tell the story. 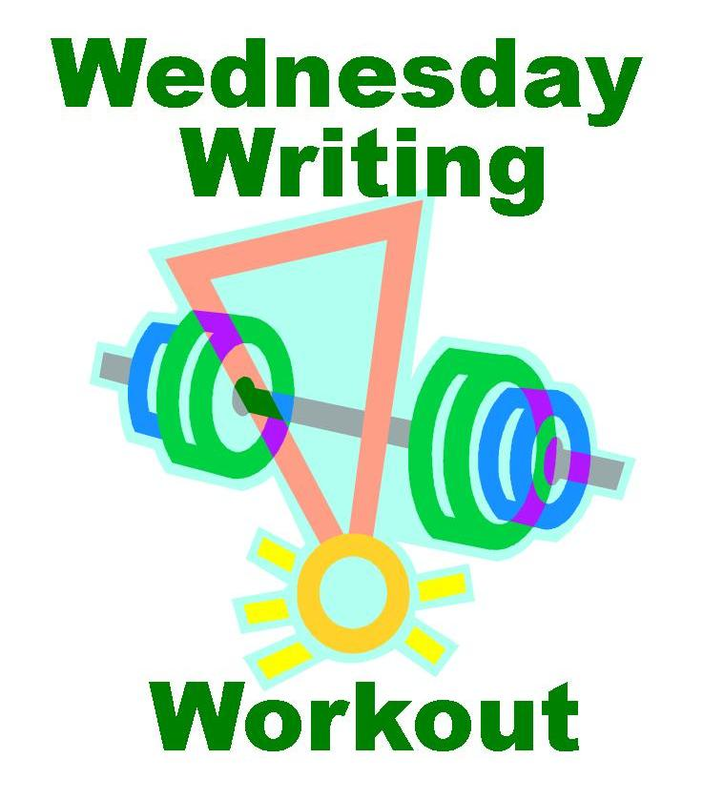 Some young writers finish the first draft of a writing assignment and say, “I’m done!” That’s like a person getting dressed in the morning and shouting, “I’m done!” after putting on one article of clothing. In both writing and in getting dressed, we are not “done” after completing just one step. Even for skilled authors, writing is a complicated process, so there are bound to be problems with a first draft. Real writers love working on the second draft. They know there will be mistakes and have fun hunting them down. Revision is more than editing mistakes, however. Even after all the spelling errors are corrected and the meandering sentences are tightened, we might not be satisfied. Something is lacking. We see a need to make the story more exciting, more vivid. We want some better details. Select a scene from a story you have written. Now put your imagination to work. Write that scene again, describing what is happening as if you cannot see. Stories that rely heavily on visual details often seem dry and lifeless. If, in your first description, you ignored the sounds that were present, tune in to them now. Before the action even starts, what can be heard? If there are no sounds, then describe the quiet. What scents are in the air? Do any of them provide a clue as to what is about to happen? Is that a campfire in the distance? Was someone digging onions? What can you feel? Is there a cool wind pressing against your left cheek? Is that gravel under your shoes? Not only will the new details give your story more richness, the clues they provide will make the story more interesting. Now, before a character sees the hot frying pan, she feels it; before she notices the wet dog, she smells him. I have had students who, when told to revise a first draft, reacted as if they had just climbed Mt. Everest and were being told to go back down and climb it again. “I’m not writing it again!” Sigh. Revision doesn’t mean starting over. Much of what they had written was good. But it needed to be fixed and polished a bit. Thank you for another excellent post and both helpful exercises! I love the multiple-step approach to storytelling in the first exercise and the attention to details in the second one. I also appreciate the reminder that revising doesn't necessarily require climbing the whole mountain again! "I have had students who, when told to revise a first draft, reacted as if they had just climbed Mt. Everest and were being told to go back down and climb it again." I've had the same reaction! Thanks so much for sharing these exercises with us! Thank you for the positive comments, JoAnn and Carmela. It was a pleasure and an honor to be a part of TeachingAuthors the past few weeks. All the best to you!